Issues of racism within the police are brought to the fore when the ritualistic murder of a teenage boy is linked to the deaths of three other youths. It’s clear there’s a serial killer at work, and New Scotland Yard is called in to solve the case and quell accusations of police prejudice. Detective Inspector Thomas Lynley has his hands fullúú––not only with finding the murderer but also with ensuring that volatile Barbara Havers doesn’t further damage her career. Then there’s the matter of keeping an eye on a tabloid reporter and a profiler whom intractable Assistant Commissioner Hillier has foisted on the team. Veteran thriller writer George, an American, is as at home with the social dynamics of the seedier parts of London as she is with the multidimensional personalities of Lynley and his colleagues (Winston Nkata, in particular, really comes into his own here). This is a riveting installment in a superb series––far more than just plain good. It’s also a turning point for the series as George makes some bold, surprising decisions that permanently change the lives of the characters her fans have come to know. Acting Supt. Thomas Lynley and Det. Constable Barbara Haven face their most challenging and perilous case yet - the linked murders off our youths, three of black or mixed parentage - in bestseller George's absorbing 13th British police procedural (after 2003's A Place of Hiding). Crime fans will find plenty of forensic minutiae and details of police bureaucracy and politics, but it's characterization at which George really excels. The up-and-down career of Havers is at low ebb following her demotion from sergeant to constable and her rocky personal life doesn't make it easy to bear. Lynley's professional life has become more difficult due to the continued absence of Supt. Malcolm Webberly and the need to deal directly with Asst. Commissioner David Hillier. The tension builds as the brutal serial killings continue and the pressure to solve them mounts. George expertly uses every device in the book from red herrings to blind alleys, from subtle twists to swift shocks. This is an outstanding and explosive addition to the popular series. Over the past three months, three adolescent boys have been killed in London. The victims are black or of mixed racial heritage, and neither the police nor the press has taken much interest in the cases. However, when the fourth victim is white, the detectives at New Scotland Yard suddenly recognize that they are dealing with a serial killer and that they have a potential media nightmare on their hands. After taking a backseat to other characters in George's past few mysteries (e.g., A Place of Hiding), Thomas Lynley and Barbara Havers return, along with detective Winston Nkata. Their task: to find the killer targeting boys enrolled in a program for at-risk youth. This is George at the top of her form; the story is well plotted and suspenseful, and some absorbing developments occur in the lives of her sleuths. George's many fans will love this one. Highly recommended. Thomas Harris casts a long shadow over any contemporary mystery writer who dares to try a serial-killer plotline, and at first, George's 13th novel featuring British cops Thomas Lynley and Barbara Havers, this time investigating a string of pedophilia-related murders, seems to nod in particular to Red Dragon. But George's appetite for unerring detail, complex plotting, and probing attention to issues of class, race, character, and disenfranchisement has always made her an original, and Witness confirms her mastery. Although George unravels the case at hand with customary skill and elegance, the real shocker for longtime fans is a stakes-raising, stunningly effective plot twist that changes the entire series in a heartbeat. Elizabeth George, an American who sets her crime novels in England, doesn't lack for courage. She trusts readers to pay close attention to her hefty, complex, smart books. She's also not afraid (as our British cousins say) to throw a spanner in the works; there are some surprises in the closing pages of "With No One As Witness," and they're doozies. ...George, a part-time Seattle-area resident, has created a less intricate structure for "With No One As Witness" than for the last entry in the series, "A Traitor to Memory." But the new book is just as delicately textured, just as achingly compassionate, and just as gripping. Perhaps even more so; it's one of George's best, and that's saying something. Elizabeth George, an American master of the British mystery, has always required a serious commitment from fans. ... in "With No One as Witness" ... she strafes the lives of her small band of continuing characters while delivering an absorbing police procedural. Once upon a time, detective fiction series afforded readers dependable visits to self-contained worlds ... Despite a periodic crisis or a changing calendar, things and people stayed more or less the same. But times and tastes have changed. In this chancier millennium, readers know not to count on a forever-stable series universe. So it is that a disconcerting sense of unease permeates American author Elizabeth George's "With No One as Witness." 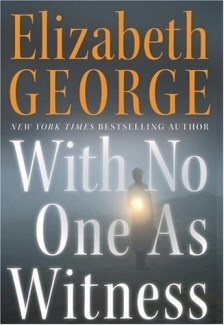 Elizabeth George's thriller With No One as Witness is like a sugary Tootsie Pop. You need plenty of time -- and dedication -- before you finally get to the chewy center of this protracted but ultimately juicy serial killer whodunit. British writer Elizabeth George always can be relied on to produce multilayered stories that focus on more than just crime and punishment while providing seductive glimpses of the inbred lifestyles and prejudices of the English upperclasses. In With No One As Witness (Harper Collins, $26.95), the aristocratic Scotland Yard Inspector Thomas Lynley and his distinctly working-class sergeant Barbara Havers deal with race relations, love, loss, grief, loyalty and blind ambition. New Scotland Yard detectives don't grill scumbags to hunt down a killer; they interview sods during an inquiry. And unlike their U.S. cop cousins, Brit cops never have a gun when they need to blast a bad guy. Their cars can break down. Even finding a parking spot can be a problem. Those are a few reasons why police procedurals by British authors can be so much better than those of their U.S. counterparts. For Anglophiles and mystery-lovers, it doesn't get much better than Scotland Yard's Detective Inspector Lynley and his sidekick, Barbara Havers, solving grisly murders in England. In this case, there's a serial killer on the loose, a psychopath who leads the detectives on a gruesome chase that lasts for 640 glorious pages, which includes a tragedy in the Yard. Part of the allure of George is her ability to create enthralling characters with actual personal lives, as well as bring all that we love about the British into our homes (despite the fact that the author lives in Huntington Beach). In a stunning installment in her Lynley-Havers series, Ms. George delivers a shocker that will change her work in ways her readers could not have expected.  The vehicle for this development is With No One As Witness, the 13th in the series. When the body of an adolescent boy is found laid out atop a London tomb, the police belatedly realize that a serial killer is at work. But the three previous victims were black or of mixed race, and the latest is white. Hoping that a quick solution will forestall media allegations of institutional racism, the odious assistant commissioner, Sir David Hillier, assigns the case to Acting Superintendent Thomas Lynley. The series features an elegant, aristocratic Scotland Yard inspector Thomas Lynley, an earl with a badge; his frumpy, lower-class sergeant Barbara Havers and a supporting cast of family, co-workers and love interests. Elizabeth George continues her page turning series featuring Detective Inspector Thomas Lynley and his unpredictable partner Barbara Havers.